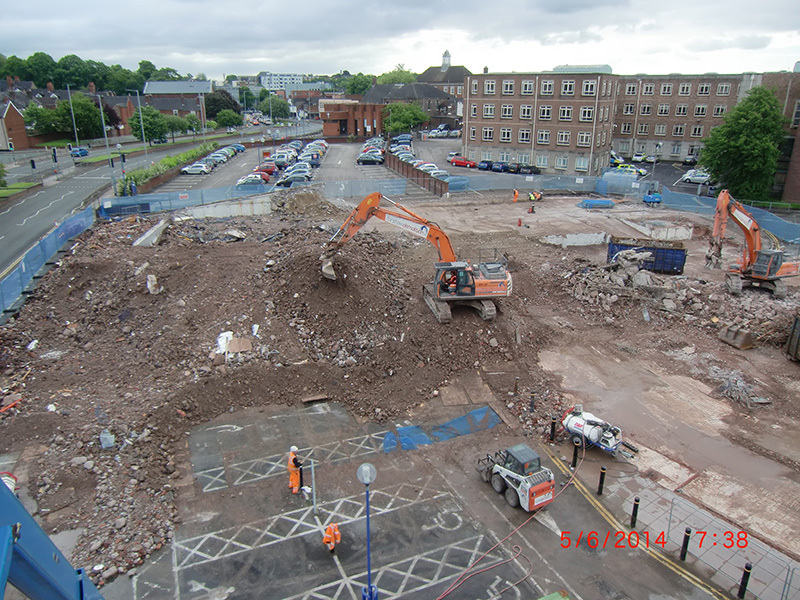 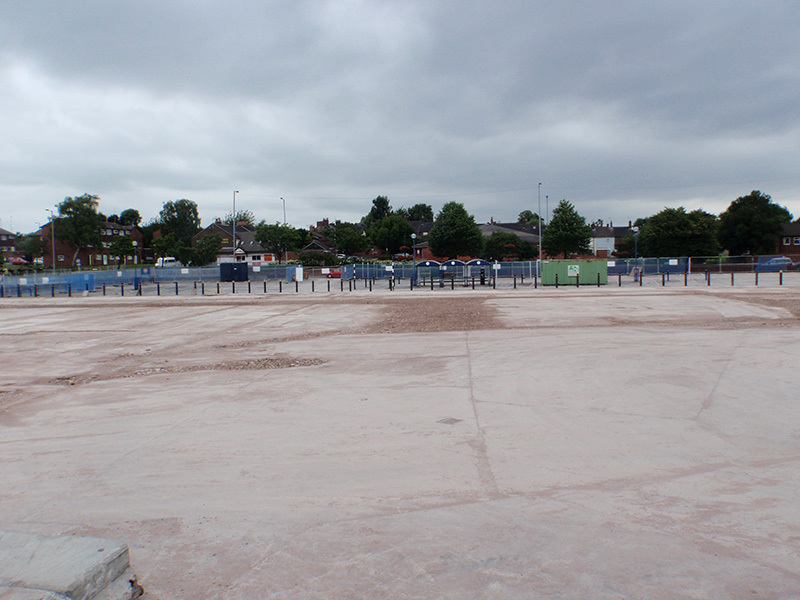 Scope: The soft-strip and demolition of a former Sainsbury’s Supermarket and adjacent multi-storey car park. 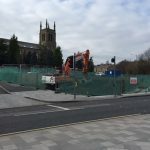 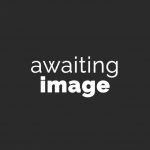 This contract involved the demolition of the former Sainsbury’s supermarket and adjacent multi-storey car park in the town centre of Newcastle-under-Lyme. 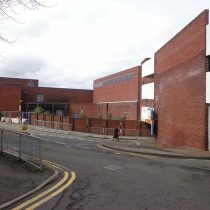 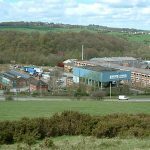 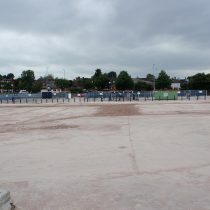 The site was adjacent to a busy main road as well as shops and the council offices on other sides. 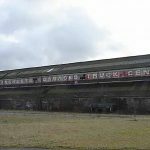 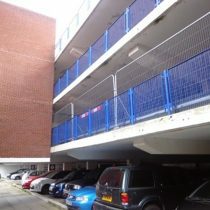 The multi-storey car park had been closed for a number of years due to uncertainty about its stability. 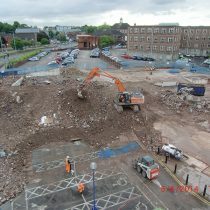 Prior to commencing works we organised a structural assessment by a structural engineer who was able to confirm that we could demolish the car park remotely using mechanical demolition excavators. 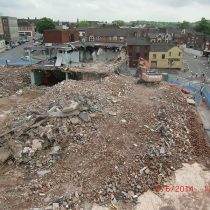 The supermarket was soft-stripped entirely to bottom to prepare it for demolition. 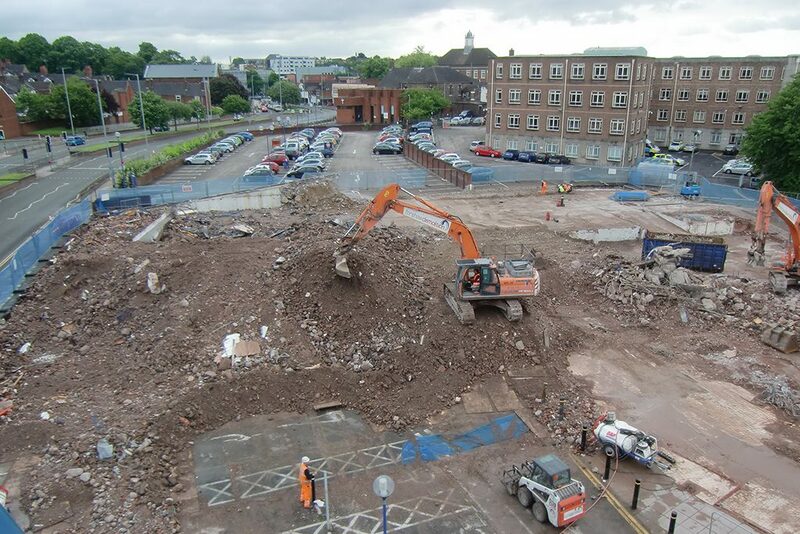 Once complete, we commence the remote demolition of the supermarket and multi-storey car park using our demolition excavators fitted with hydraulic combination shears. 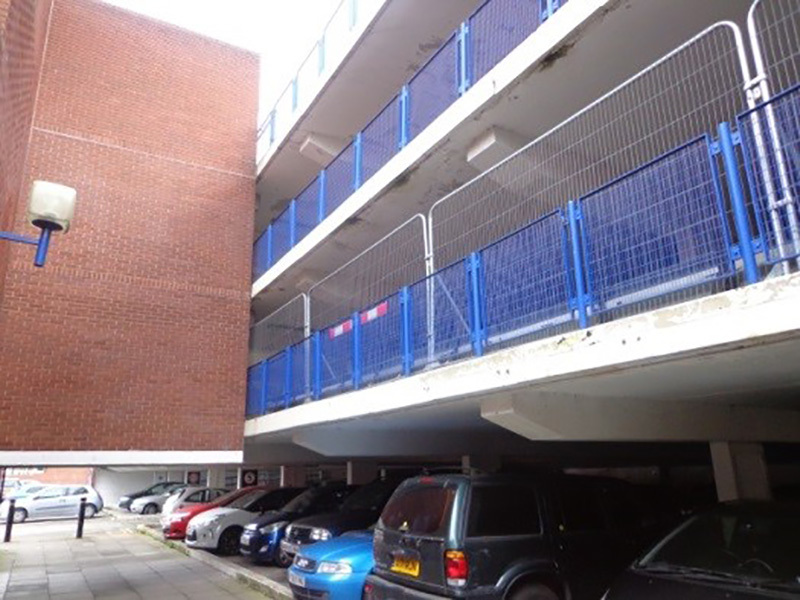 The car park was demolished from the top floor down, working bay by bay and making sure any debris was scraped off the floors below prior to moving on, to ensure the floors of the already weak car park were not overloaded. 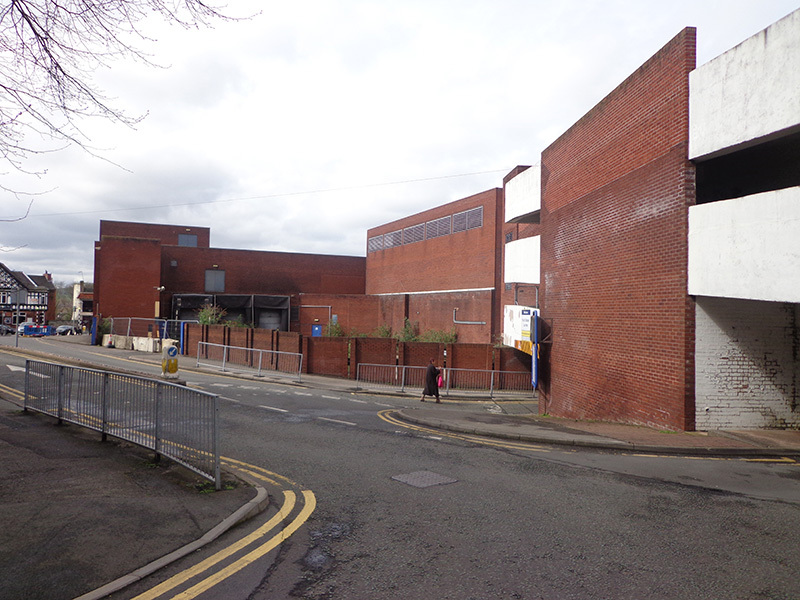 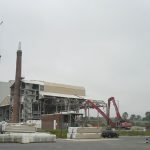 The last section of the demolition was adjacent to the main road and a side road. 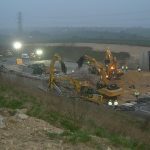 To enable us to complete this section of the work as swiftly and as efficiently as possible we organised a temporary road closure with the local council highways’ department. 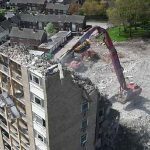 This allowed us to continue using our mechanical excavators and demolish the structures remotely rather than using hand demolition deconstruction techniques, which adds more risk to the project. 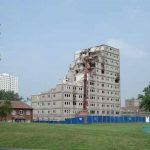 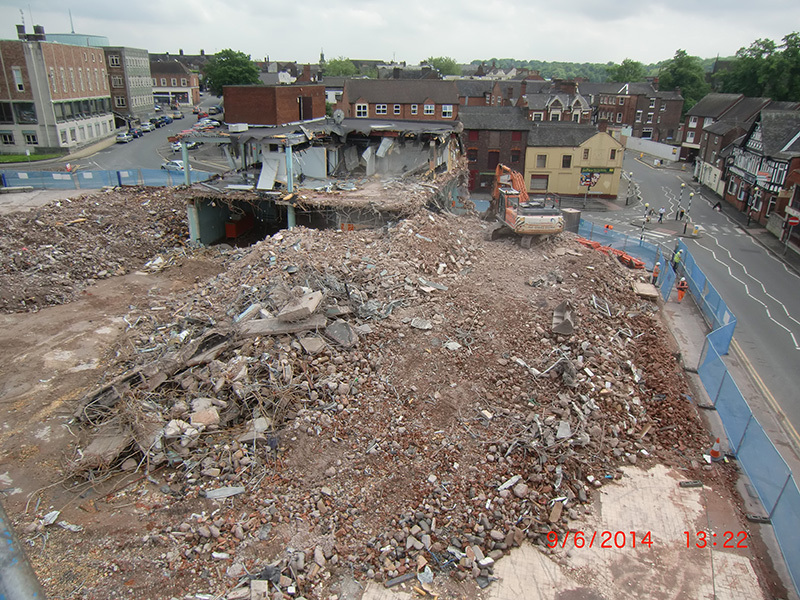 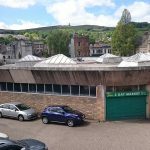 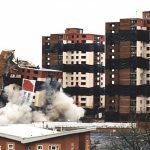 Due to this methodology, we were able to complete the demolition ahead of schedule and with minimal disruption to the town centre businesses and shoppers.